Detective investigation will be continued..
After the grand success of Baahubali south film industry reached a new level. The directors used to think that sequel movies won't work out, but Bahubali changed that perception. There are so many interesting and much anticipated sequels gearing up to hit the theatres soon. Even the directors like Shankar are directing the sequels like 2.0, Bharateeyudu-2. Recently Vishal also joined this list. 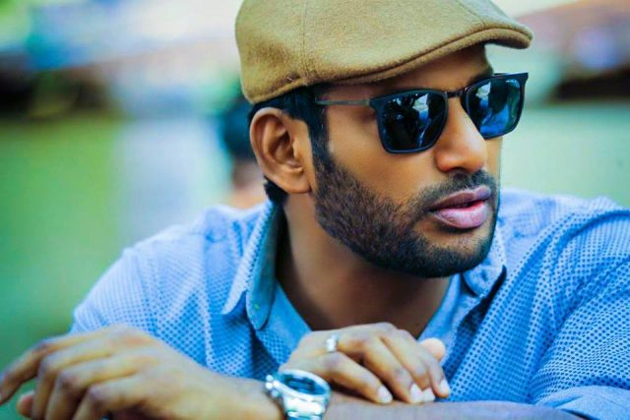 Vishal's latest release Detective under the direction of Mysskin received positive talk. The movie revolves with serious investigation concept. As it is rare concept and the screenplay is also gripping the movie is doing well at the box office. As his detective movie became a hit Vishal is planning to do a sequel of that movie. Not only defective but the actor is also planning to do the sequel of his blockbuster Pandemkodi movie. Interestingly, detective movie do not have any songs. When asked about it he said that this will continue in the future and is predicting that there won't be need for songs in the movies. Almost all the movies of Vishal will be under his own production house. When asked about why he is not doing movies with other producers, the actor claimed that he had so many bad memories while doing so and decided to produce his own movies. Vishal also stated that he will get married only after the launch of Nadigar Association Building in Chennai. Classic Manam Couldn't Beat Powerful Legend! It is a big NO.